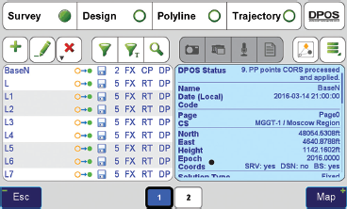 It triple checks the accuracy of RTK solutions by post-processing and CORS processing. In addition, if RTK can’t a get fix (because of bad environment or bad communication with Base) Hybrid RTK comes to your rescue… automatically. When your RTK job is finished, go to your base and in Base/Rover screen	click “Stop Base”. Base data will be downloaded to TRIUMPH-LS via fast Bluetooth automatically. All of the following	steps will be performed automatically too when WiFi/Internet connection is established. Rover points and base data	sent to DPOS. Awaiting DPOS	to process base-rover. 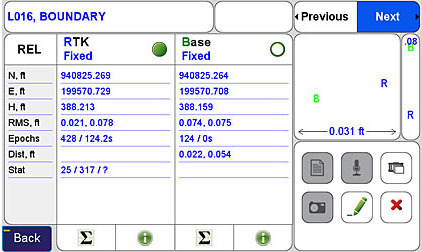 Rover points processed with	base (relative). Base data sent to DPOS to be processed with CORS data. Awaiting CORS data. Base and rover points sent for	CORS processing. 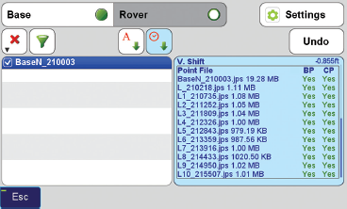 Rover points individually processed with CORS data. 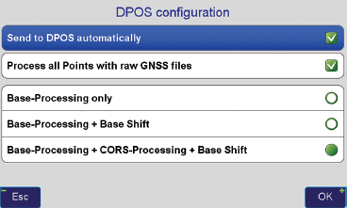 Status of DPOS and Hybrid RTK processing for this session. Status of each point and indication that base was DPOSed and corrections were applied. Switch between REL (Relative) and ABS (Absolute) screens. RTK and post-processed	rover solutions based on autonomous (standalone) position of the base (Relative). RTK solution (relative to autonomous position of the base). Post-processed solution (relative to the autonomous position of the base). Horizontal and vertical graph of Relative solutions. Access notes,	audio, photos and screen shots that are attached to this point. 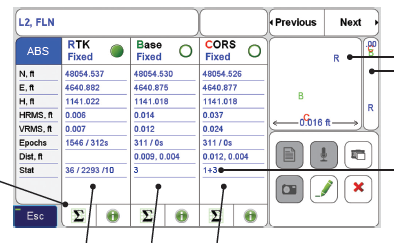 Three types of Absolute rover solutions after autonomous position of the base is corrected with	CORS data. Solution post-processed directly with base and with CORS data. Horizontal and vertical graph of Absolute solutions. Number of CORS stations used. Radio Link 0%… Position Status: Autonomous… You need Hybrid RTK from Javad GNSS. If you've been using RTK for very long, you've probably seen this message. You've traveled over hills, across creeks, through the brush to a key monument only to find that you have lost communication with your base. Precise RTK positioning requires a constant stream of corrections from the base receiver. When these corrections are lost, so is your ability to work. Previously, manufacturers would recommend recording raw data at the base and rover and post-processing later to determine where you were. This required additional post-processing $oftware on a PC and additional time to download receivers, process the data, evaluate and export the results and then import the results back into your project. More recently some manufacturers offer expensive subscription services that provide satellite based corrections providing less than RTK precise results while requiring restrictive field procedures. Javad and his development team have created a new service that provides a fully automated, near real-time post processing solution for base communication outages and for additional verification of RTK results - Hybrid RTK. •et; Automated processes in J-Field software record raw data at the base and rover. •et; Automated processes download base raw data to Triumph-LS at the end of a session. •et; User can then send base file and rover files directly from Triumph-LS to DPOS server over the Internet, or set the Triumph-LS to do this automatically. •et; Minutes later receive high accuracy post-processed vectors from DPOS that automatically replace the coordinates of Autonomous points. The process is fast, highly automated and accurate. 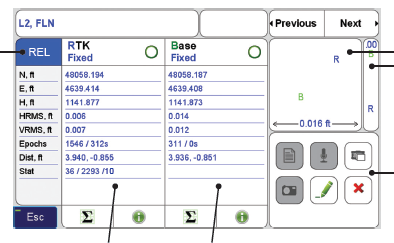 Results are given in a tabular form allowing operators to view the results, compare positions determined with fixed RTK solutions and post-processed results when available and to select the preferred solution. The Justin processing engine that powers DPOS has been proven to provide excellent results in determining base station positions from CORS and is now proving to provide unbelievable results with very short observation times between the base and rover in difficult environments and over long-for-RTK distances. 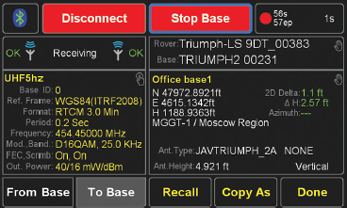 Hybrid RTK is a free service to all Javad Triumph-LS system users. 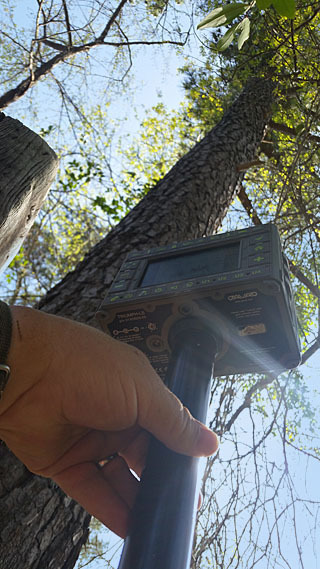 Find out why your competition is choosing Javad GNSS.